The management problem is to find out customers overall satisfaction level, the profile of MCB account holders and customers satisfaction with their problem resolutions. The percentage of new customers. The education level of the population.. The income level of the population.. The percentage of customers that are satisfied with MCB services. Major reasons of satisfaction with MCB services. Major reasons of dissatisfaction with MCB services. The data collection method employed for this report was survey. The measurement technique adopted was the personal interview. The measurement instrument was the questionnaire. Upto 30% of the customers are new (Upto 3 years). This hypothesis was rejected, therefore we conclude that more than 30 % of the customers are new. 51 % of the MCB customers are Graduates. This hypothesis was rejected, therefore we conclude that most of the customers are not graduate. Upto 40 % of the MCB lie within the income bracket of RS 10,000-30,000. This hypothesis was accepted, therefore we conclude that 40 % of the MCB lie within the income bracket of RS 10,000-30,000. Atleast 70 % of the MCB customers are satisfied. This hypothesis was accepted, therefore we conclude that more than 70 % of the MCB customers are satisfied. Atleast 30 % of the customers are satisfied due to personal relations. This hypothesis was accepted, therefore we conclude that more than 30 % of the MCB customers are satisfied due to personal relations. Atleast 30 % of the customers are dissatisfied due to poor services. This hypothesis was rejected, therefore we conclude that less than 30 % of the MCB customers are dissatisfied due to poor services. 43% of customers have saving accounts. 31% of customers have both saving & current accounts. 100% of customers have Rupee accounts. 34% of customers have Dollar accounts. 41% of customers have upto 3 years experience with MCB. 18% of customers have more than 10 years experience with MCB. 42% of customers are graduates. 27% of customers are professionals. 30% of customers have income of less than 10,000. 40% of customers have income between 10,000-30,000. 9% of customers have income above 70,000. 27 % of the customers are in service. 37% of the customers have no specific time of visiting the bank. 22% of the customers visit the bank between 11 A.M.-1 P.M.
54% of the customers are satisfied. 24% of the customers are very satisfied. 10% of the customers are dissatisfied. 43% of the customers are satisfied due to personal relations. 37% of the customers are satisfied due to good service. 60% of the customers are satisfied due to convenient location. 26% of the customers are dissatisfied due to parking problems. 23% of the customers are dissatisfied due to procedural problems. 41% of customers have MCB as their main bank. 43% of customers are very likely to recommend MCB to their friends. 43% of customers may recommend MCB to their friends. 43% of the customers face problems of poor service while banking with MCB. 20% of the customers face problems in getting ATMs while banking with MCB. 71% of customers communicate their problems to the staff. 36% of customers communicate their problems through phone. 52% of the customers are satisfied with the management’s attitude toward problem solving. 30% of the customers are indifferent with the management’s attitude toward problem solving. 37 % of the customers are indifferent about the management’s efficiency toward problem solving. 32 % of the customers considers the management as efficient toward problem solving. 16 % of the customers considers the management as inefficient toward problem solving. The researcher were pressed for time. As a number of customers were not willing to reveal their education and income, therefore there are chances of biases. The objective of this study is to find out the customers overall level of satisfaction with MCB services. The management is interested in finding out the affect of the changes in management policies, after privatization, on the perception of consumers. More specifically, the management wishes to know the profile of MCB account holders, how these account holders perceive MCB in terms of satisfaction and problem solving and the percentage of new customers that they have attracted in the period after its privatization. The data collection method employed in this research was the survey. The measurement technique which we have adopted was the personal interview and the measurement instrument was the questionnaire. 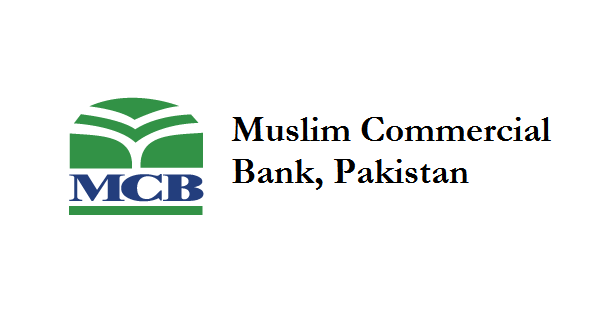 Muslim Commercial Bank Ltd was privatized in 1991. The management is interested in determining the customers’ level of satisfaction. More specifically, the management wishes to know the profile of MCB account holders, how these account holders perceive MCB in terms of satisfaction and problem solving and the percentage of new customers that they have attracted in the period after its privatization. Customers’ level of satisfaction with MCB. 1) The percentage of new customers. 2) The education level of the population..
3) The income level of the population..
4) The percentage of customers that are satisfied with MCB services. 5) Major reasons of satisfaction with MCB services. 6) Major reasons of dissatisfaction with MCB services. 1) Upto 30% of the customers are new (Upto 3 years). H10: 30 % of the customers are new. H11: Greater than 30 % of the customers are new. 2) Most of the MCB customers are Graduates. H20: 51% of the customers are graduate. H21: Less than 51 % of the customers are graduate. 3) Upto 40 % of the MCB lie within the income bracket of RS 10,000-30,000. H30: 40 % of the MCB lie within the income bracket of RS 10,000- 30,000. H31: Greater than 40 % of the MCB lie within the income bracket of RS 10,000-30,000. 4) Atleast 70 % of the MCB customers are satisfied. H40: 70 % of the MCB customers are satisfied. H41: Less than 70 % of the MCB customers are satisfied. 5) Atleast 30 % of the customers are satisfied due to personal relations. H50: 30 % of the customers are satisfied due to personal relations. H51: Less than 30 % of the customers are satisfied due to personal relations. 6) Atleast 30 % of the customers are dissatisfied due to poor services. H60: 30 % of the customers are dissatisfied due to poor services. H61: Less than 30 % of the customers are dissatisfied due to poor services. This study was actually aimed at determining the level of customers’ satisfaction, the typical problems that the customers face, and the profile of MCB customers. The data collection method employed was the survey. The measurement technique which we have adopted was the personal interview and the measurement instrument was the questionnaire. Personal interviews were necessary because we had to make sure that the account holders understood the questions asked because of the technical nature of the questionnaire. Also we had to ensure that maximum possible number of questions were answered. “All account holders of MCB in Karachi since any time after its establishment”. Sampling frame is a means of representing the elements of the population. No sampling frame was used for this study. Sampling unit is the basic unit containing the elements of the population to be sampled. In this research the sampling unit is any account holder of MCB. Sampling method used is stratified random probability sampling. The population is divided on the basis of the geographical regions into different strata. These geographical regions are selected on the basis of giving uniformity to the sample. The population is divided into 10 strata. These are I. I. Chundigarh road, Saddar, F. B. 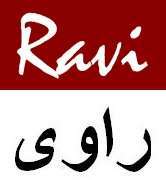 Area, Clifton/Defense, PECHS, Gulshan-e-Iqbal, Nazimabad, KDA Scheme, Malir and Bahadarabad. Each strata has an equal weightage in the sample selection. The sample size taken for this research is of hundred MCB account holders. Since the sample size is hundred and the population is divided into ten strata, therefore a sample of ten account holders is to be taken from each strata in order to give uniformity to the population. A survey questionnaire is designed and the researchers are required to visit a branch in each strata, select an account holder at random and get the questionnaire filled. Source: The information about type of currency account collected from question 3 of the questionnaire given in the appendix. Most of the account holders hold their accounts in more than on currencies. Source: The information for length of experience is collected from question 1 of the questionnaire. The purpose of finding out the length of experience of an MCB account holder is to determine whether most of the account holders have become customers of MCB after its privatization or have been customer of MCB over a fairly long period of time. This would help the management in determining how successful their policies are after privatization in acquiring new customers. Source: The information about the customers’ education is obtained from the profile section of the questionnaire. The purpose of finding out the customers profile by education is to have a fair idea about the image of MCB. If most of the customers are graduate or above, this means that people generally have a good image of MCB. Source: The information about the customers’ income is collected from the profile section of the questionnaire. The purpose of finding out the customer profile by income is to determine the average income i.e., the average size of account of MCB customers. Source: The above information is collected from the profile section of the questionnaire given in the appendix. The purpose of finding the customers education is to basically find out what type of customers bank with MCB i.e., whether the customers are in service, run their own business, are professionals etc. This would help the management to target their policies towards the right customer base. The purpose of finding the respondents usually visiting hours is to find out whether there is a willingness to visit the bank in the evening or not. The results shows that most of the customers i.e., 37%, have no specific time of visiting the bank and 21% customers visit the bank in the evening as well as in the morning. Identifying the overall satisfaction level of MCB customers would help the management in deciding future policies. The results shows that 78% of the account holders are satisfied with MCB and only 22% are either indifferent or dissatisfied. Identifying the major reasons for satisfaction will help the management in identifying their strengths and the areas where improvements are needed. The result shows that 60% customers are satisfied because of convenience of location and the second important reason for banking with MCB is personal relations, which is 47%. The response percentage is higher because many respondents gave more than one reasons for satisfaction. The results are shown graphically on the next page. Identifying the major reasons for dissatisfaction will help the management in finding out the weaknesses so that they can be taken care of in the future. The major reasons of dissatisfaction identified by the respondents are Parking problems (26%) and Procedural problems (23%). The response percentage is higher because many respondents gave more than one reasons for satisfaction. The results are shown graphically on the next page. Source: The information for customer’s length of experience and overall satisfaction is collected from question 1 & 5 of the questionnaire given in the appendix. The purpose of the above tabulation is to find out the satisfaction level of customers over their length of experience of banking with MCB. The finding shows that most of the new and old customers are satisfied with MCB. There is also a small percentage of new as well as old customers which is indifferent or dissatisfied. The results are shown graphically on the next page. Source: The information for customer’s type of account with MCB and overall satisfaction is collected from question 2 & 5 of the questionnaire given in the appendix. The purpose of the above tabulation is to find out the satisfaction level of customers by type of account with MCB. The findings show that most of the customers holding Savings account, Current account or both accounts are satisfied with MCB. There is also a small percentage of account holders which is indifferent or dissatisfied. The results are shown graphically on the next page. Source: The information for the above tabulation is collected from question 9 of the questionnaire given in the appendix. The results showS that most of the customers hold their accounts with more than one bank. The response percentage is higher because many respondents hold their accounts with more than one banks. Source: The information for the above tabulation is collected from question 10 of the questionnaire given in the appendix. The results show that MCB is the main bank for most of the account holders (47%) although they also hold their accounts with other banks. The results also show that Citibank is the main bank of 15% MCB account holders and ANZ Grindlays is the main bank of 14% MCB account holders The results are shown graphically on the next page. Source: The information for the likelihood of respondents recommending MCB to their friends is collected from question 16 of the questionnaire given in the appendix. The results show that 43% of respondents are very likely to recommend MCB to their friends and 43% may recommend MCB to their friends. 14% of respondents unlikely to recommend MCB to their friends. These results are graphically shown on the next page. The information about the major problems encountered by the account holders while banking with MCB is collected from question 11 of the questionnaire given in the appendix. This information will help the management in identifying out the weaknesses so that they can be taken care of in the future. 43% of the account holders identified slow procedures, 20% identified problems in getting ATM and 19% identified transaction problems and remittance clearing problems as the major problems while banking with MCB. These results are graphically shown on the next page. This will help the management in finding out how the account holders usually communicate their problems to the management so that easy ways would be find out to immediately solve the problems. The results show that 71% customers speak to the staff for any problems and 36% customers communicate their problems through phone. The response percentage is higher because many respondents adopt more than one way to communicate their problems. The results are graphically shown on the next page. This will help the management in finding out how effective their policies are in solving the customers problems and whether they need any improvements or not. The results show that 65% of customers are very satisfied but there is a big percentage (30%) of customers who are indifferent and also 5% are dissatisfied with their problem resolution. The results are graphically shown on the next page. Source: The information for the above tabulation is collected from question 12 & 13 of the questionnaire given in the appendix. This information shows that the customers who communicate their problems to the staff are more satisfied with problem resolution as compared to those who communicate their problems through phone, letter or fax. These results are graphically shown on the next page. This will help the management in finding out how customers feel about the management’s efficiency towards problem solving and whether they need any improvements or not. The results show that 42% of customers considered the management as efficient or very efficient but there is a big percentage i.e., 37% which is indifferent and also 21% of customers considered the management as inefficient or very inefficient towards their problem resolution. These results are graphically shown on the next page. Source: The information for the above tabulation is collected from question 12 & 14 of the questionnaire given in the appendix. This information shows a mixed result. Some customers who communicate their problems to the staff consider management as efficient, even very efficient but some of them are indifferent and some consider management as inefficient, even very inefficient. The complete results are shown graphically on the next page. The six hypothesis are stated and tested below. H10: 30% of the customers are new. H11: Greater than 30% of the customers are new. The results have shown that 41 Accounts Holder out of the 100 interviewed were new i.e. have upto 3 years of experience of banking with MCB. The above hypothesis shows that it is a one tail hypothesis. Since Z falls within the critical region, reject H10. The results have shown that 42 Accounts Holder out of the 100 interviewed were graduate. The above hypothesis shows that it is a one tail hypothesis. Since Z falls within the critical region, reject H20. The results have shown that 40 Accounts Holder out of the 100 interviewed had income in the bracket of RS 10,000 to 30,000. The above hypothesis shows that it is a one tail hypothesis. Since Z doesn’t fall within the critical region, accept H30. The results have shown that 78 Accounts Holder out of the 100 interviewed were satisfied. . The above hypothesis shows that it is a one tail hypothesis. Since Z doesn’t fall within the critical region, accept H40. The results have shown that 43 Accounts Holder out of the 100 interviewed were satisfied due to personal relations. The above hypothesis shows that it is a one a one tail hypothesis. Since Z doesn’t fall within the critical region, accept H50. The results have shown that 14 Accounts Holder out of the 100 interviewed were dissatisfied due to poor services. The above hypothesis shows that it is a one a one tail hypothesis. Since Z falls within the critical region, reject H60. The changes in management policies, after privatization, had a positive affect on the perception of consumers as about 41% of the current MCB customers have upto 3 tears of experience of banking with MCB. Most of the customers of MCB are well educated as only 3% are either Matric or below Matric. Most of the MCB customers are of lower or lower-middle income. Most of the MCB customers are satisfied with the overall performance of MCB. The major reasons for satisfaction are personal relations, convenient location, good attitude of staff, and good facilities. The major reasons for dissatisfaction are parking problems, procedural problems, bureaucratic style, and poor service.